Following the Session of the Sacred Synod in the month of January, we were given the texts which were prepared and prepare for the future convening of the Holy and Great Synod on the day of Pentecost this year, barring any unforeseen developments. 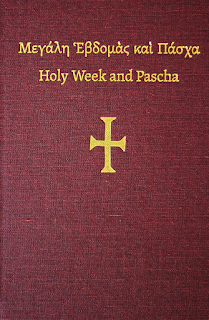 Among these are also the texts prepared by the 5th Pre-conciliar Pan-Orthodox Meeting, which took place in Geneva from the 10th to the 17th of October of the previous year (2015), during the time period of our own Synod. 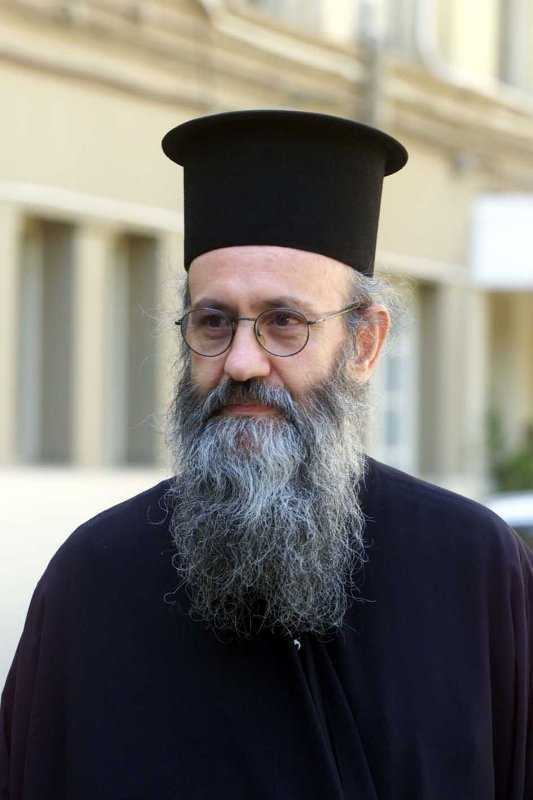 Thus, besides the ratification of the decisions by the representatives of our Church and to inform the Church, these texts were also sent in order to obtain relevant views and decisions from our Church, namely from the Eminent Metropolitans of the Hierarchy of the Church of Greece. It is understood, then, that these texts-decisions are to be given to the Members of our Hierarchy for discussion, because the Church will make decisions to accept and to vote on them, with the one vote it has, at the Session of the Holy and Great Synod of the Orthodox Church. Two of these subjects, namely “autonomy and the manner in which it is granted” and “the importance of fasting and its application today” do involve any serious problems. However, I have serious reservations about theological, ecclesiological and anthropological subjects in the other prepared texts. 1. The text-decision “Relations of the Orthodox Church with the rest of the Christian world” speaks of the self-understanding and union of the “One, Holy, Catholic and Apostolic Church” (article 1) and, as it says, “according to the ontological nature of the Church this unity cannot be broken” (article 6). Yet at the same time it speaks of the “theological dialogues between the different Christian Churches and Confessions” and the participation of the Orthodox Church in the Ecumenical movement “in the belief that through dialogue she thus bears her active witness to the plenitude of Christ’s truth and her spiritual treasures before those who are external to her, and pursuing an objective goal – to tread the path to unity” (article 6). This raises the questions: Does the above phrase: “to tread the path of unity” mean that those outside of Her (the Orthodox Church) will return to unity? 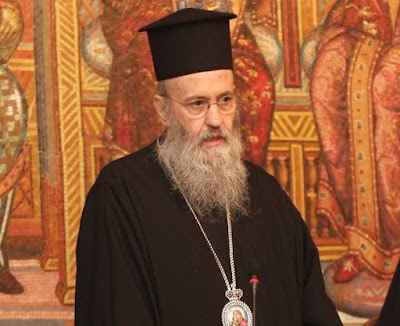 If so, how can it state elsewhere that the bilateral theological dialogues of the Orthodox Church, with its participation in the Ecumenical Movement, take place “with the aim of seeking, on the basis of the ancient Church of the Seven Ecumenical Councils, the lost unity of Christians” (article 5)? In other towards, is the unity of the Orthodox Church taken for granted or is it sought because it was lost? 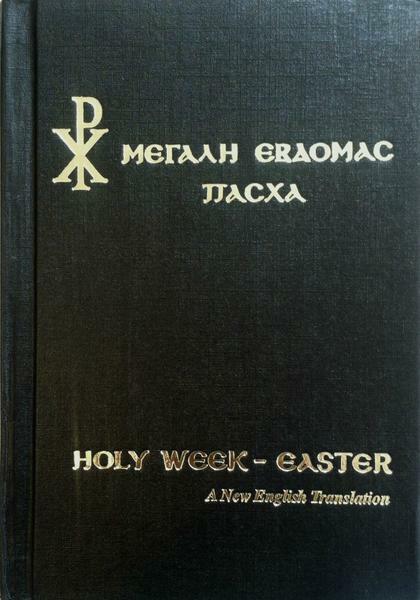 This is also connected with the subject of the relationship of the Orthodox Church with the other Christian Confessions. 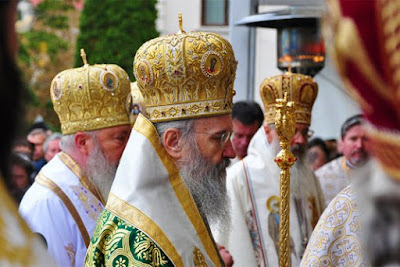 While “The Orthodox Church, being the One, Holy Catholic and Apostolic Church, in her profound ecclesiastical consciousness firmly believes that she occupies a central place in matters relating to the promotion of Christian unity within the contemporary world” (article 1), it is simultaneously stated that “The Orthodox Church acknowledges the existence in history of other Christian Churches and confessions which are not in communion with her…” and believes in a speedy, more accurate elucidation “of all ecclesiological topics, especially the teaching on Sacraments, grace, priesthood, and apostolic succession” (article 6). This means that the Orthodox Church acknowledges the other Christian Churches and Confessions, and within this perspective the relations of the Orthodox Church with the other Churches is determined, in agreement with the 7th canon of the 2nd Ecumenical Council and the 95th of the Quinisext Ecumenical Council (article 20). Question: Why does the opening phrase “with the rest of the Christian world” close with the phrase “existence of other Christian Churches and Confessions”? Are there Christian Churches besides the One, Holy, Catholic and Apostolic Church? Furthermore, does the calling to mind of particular Canons of the Ecumenical Councils [7th of the Second Oecumenical Council and 95th of the Quinisext Council] suggest “baptismal theology” as the basis of the unity of the Orthodox Churches with the other “Churches and Confessions”? After the Quinisext Ecumenical Council, did not other doctrines also slip in among Roman Catholics, as well as other canonical traditions of worship? Is it possible that the decision of the Patriarchs in 1756, by which we receive the heterodox into the Orthodox Church by baptism, is being indirectly revoked? And will those who continue to believe according to the teaching of the Holy Fathers shatter the unity of the Church and be “condemned”? (article 22). It is necessary, therefore, that the content of this text be further clarified in relation to the title, lest it create confusion and ambiguity. Although the title is clear: “Relations of the Orthodox Church with the rest of the Christian world”, there are some ambiguities in the content, such as the “recognition” of other Churches besides the One Orthodox Church, and the establishment of unity from [within] the existing division. It is possible that this confusion came from the merging of two subjects for discussion at the Holy and Great Council into one text. Nevertheless, the content of the two texts need to be brought into harmony. 2. 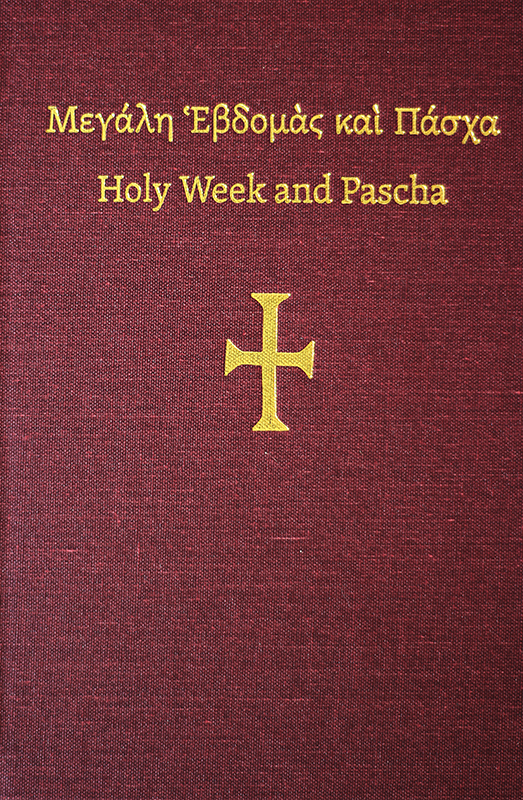 The text “The mission of the Orthodox Church in the modern world” generally presents the orthodox teaching on the prevalence of peace, righteousness, freedom, brotherhood and love between peoples, and on the rejection of racial and other forms of discrimination. Surely, the Holy and Great Synod has to take such a decision, since we live in a divided, fragmented, and intolerant world and in an environment that is steadily polluted to the detriment of man and the creation of God. I notice, however, that all of this is based on a flawed anthropology. Instead of the text making reference to the value of man, it refers to the “value of the human person” (Title and chapter 1, article 4), the “sacredness of the human person” (chapter 1, article 3), the “lofty value of the human person” (chapter 1, article 5), and elsewhere. Of course, in the beginning it is noted that “in the term ‘person’ is condensed the content of the creation of man according to the image and likeness of God” (chapter 1, article 1). However, it continues by stating that “the sacredness of the human person”, which derives from the creation of man as the image of God, and from his mission in God’s plan for man and the world “was the source of inspiration for the Church Fathers” (chapter 1, article 3). The Fathers, however, constantly insist on emphasising the meaning of “man”, while “person” is attributed to God. I am not aware of patristic texts that speak of the “sacredness” and the “value of the human person”, something which is the product of Roman theology, as Lossky clearly attests, and which in reality is a view pertaining to post-patristic theology. The wording “value and sacredness of the human person” in the text is associated with the cacodox correlation between the human person and the communion of the Divine Persons. It says, “One of the loftiest gifts of God to the human person both as a concrete bearer of the image of a personal God and as a member of a community of persons in the unity of the human race by grace reflecting the life and communion of the Divine Persons in the Holy Τrinity, is the gift of freedom” (2, article 1). This article makes reference to the “communion of the Divine Persons,” while the correct terminology would be the unity and distinction of the Divine Persons. In the Triune God, there is a communion of nature and not a communion of persons, since the persons also have their incommunicable hypostatic properties. Also problematic is the statement that “the human person” is “concrete bearer of the image of a personal God” and “a member of a community of persons in the unity of the human race by grace reflecting the life and communion of the Divine Persons in the Holy Trinity” (Chapter 2, article 1). Furthermore, the statement that “the person is associated with freedom and uniqueness, which express relationship and communion” (Chapter 1, 1) and that freedom is “an ontological component of the person” (Chapter 2, 3). If this were the case, then in God each person would have their own freedom, and hence the unity of the Holy Trinity would be broken. If “the human person” is associated with the “divine Persons” in the text, then the freedom of the person results in a cacodox viewpoint. Moreover, τό αὐτεξούσιον, the will is an appetite of nature and not of the person. I gave an explanation on this subject to the Hierarchy last October, and showed the problems relating to the term person in regards to man, and the Hierarchs did not object further on the subject. I maintain that these passages should be removed from this important text, and that the word “man” be substituted for the word “person.” There is no better expression, which is both biblical and patristic and which is perceived also by western theologians and Christians of other Confessions, who are not used to the meaning of person with regards to man. With respect I submit these few, but fundamental remarks of mine, which I consider to be important. If these passages which express a modern theological direction of certain newer theologians, and which differ from Orthodox patristic teaching, remain, then the texts issued by the Holy and Great Synod will create various theological problems, because together with everything else, they will support a theology which is foreign to the tradition of the Church, they will support the so-called post-patristic theology and it will be shown that this was the aim of those who arranged these texts. In closing, I opine that the text “Relations of the Orthodox Church with the rest of the Christian world” must be altered to clearly express that it is the Orthodox Church which is the One, Holy, Catholic and Apostolic Church, and that theological dialogue with the Christian world is done in order for the Christian Communities outside of her to return to this unity. Furthermore, with regards to the text “The mission of the Orthodox Church in the modern world,” the expression “value and sacredness of the human person” should be replaced by the expression “the value of man,” and what is written about the communion of persons, “the unity of the human race by grace reflecting the life and communion of the Divine Persons in the Holy Τrinity,” should be removed.